Describe dinner at your house in 3 words. Go ahead…. Were any of those words “boring”, “routine”, “chaotic”, “rushed”, or the like? If so, don’t worry, you aren’t alone. However, things can be different. Dinner can be fun family time. Dinner can be relaxing and refreshing. Dinner can be delicious. Don’t believe me? 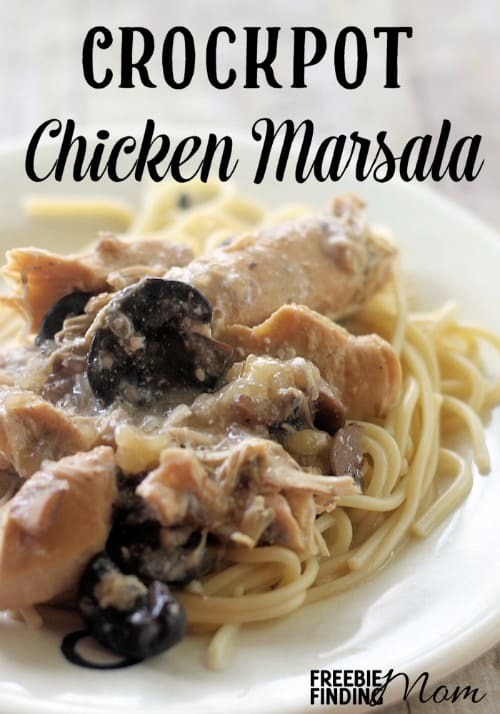 Then you obviously haven’t tried this chicken marsala crockpot recipe. One of the reasons we make the same things over and over is because they’re familiar and easy (or at least they seem easy to us). We sacrifice variety (which is the spice of life, in case you hadn’t heard) in order to just get dinner done. Again, dinner doesn’t have to be like that. 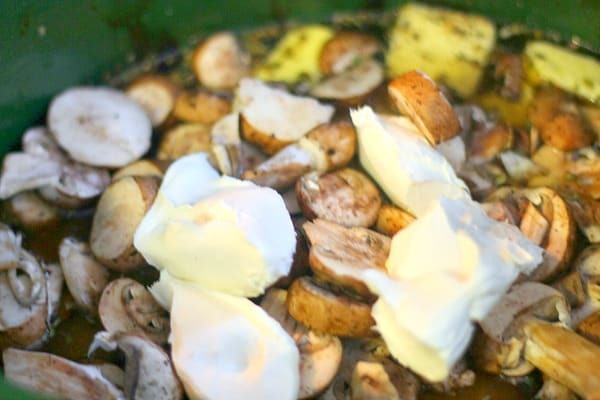 Recipes, like this chicken marsala crockpot recipe are easy and hands off and allow you to try new things. 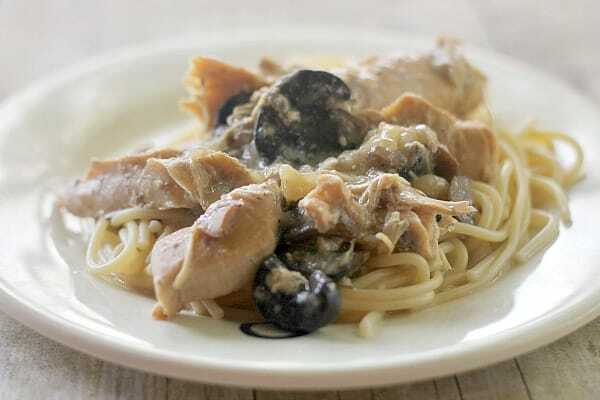 This chicken marsala crockpot recipe calls for just 9 ingredients, many of which you may very well already have in your kitchen. Once you gather those 9 incidents all you have to do is put them in the crockpot. Done. Yep, you read that right. Dinner is done. Time to unwind and enjoy your family! 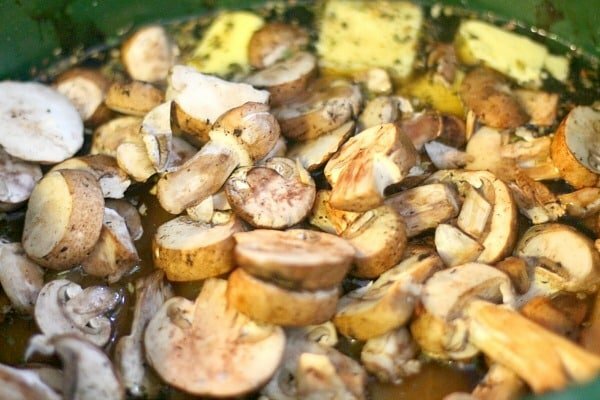 Bonus, with this chicken marsala crockpot recipe there’s hardly any cleanup so you don’t have to spend hours scrubbing dishes. For more delicious crockpot recipes, follow Freebie Finding Mom’s Crockpot Recipes Pinterest board. 1. 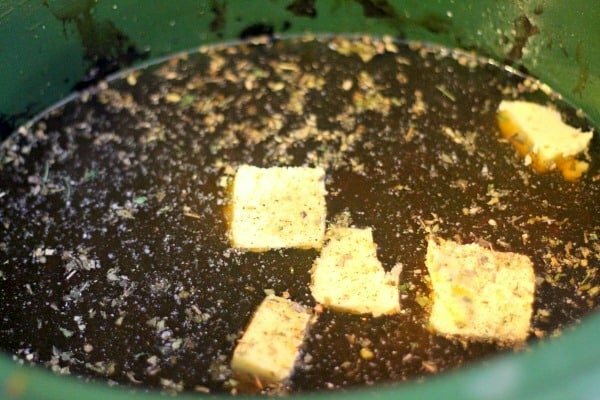 Place water, broth, butter, garlic salt, basil, and oregano in Crock Pot. 2. 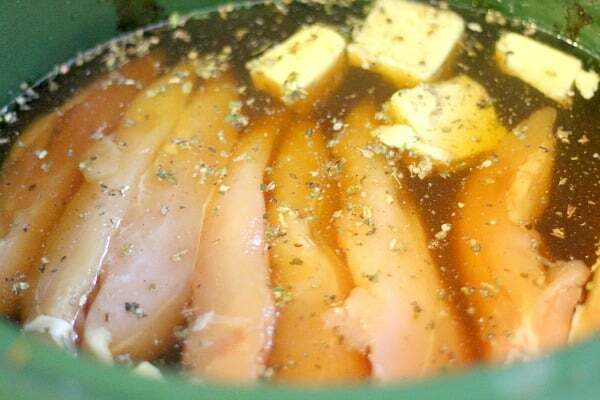 Add chicken to the mixture. 4. Place cream cheese on top of mixture. 5. Cook on low for 5-6 hours, until chicken is tender and nearly falling apart. 6. Stir gently before serving. 7. Serve over spaghetti or linguine noodles. So, what’s for dinner tonight at your house? What about the Marsala wine?? How is this Chicken Marsala without it? Just wondering.